This is one of the nicest conversions we’ve done this week. It’s the men’s Jordaan from LEKKER. It has a nice 7 speed Shimano nexus hub in the rear and it’s been converted with one of our rear rack battery/front hub motor. 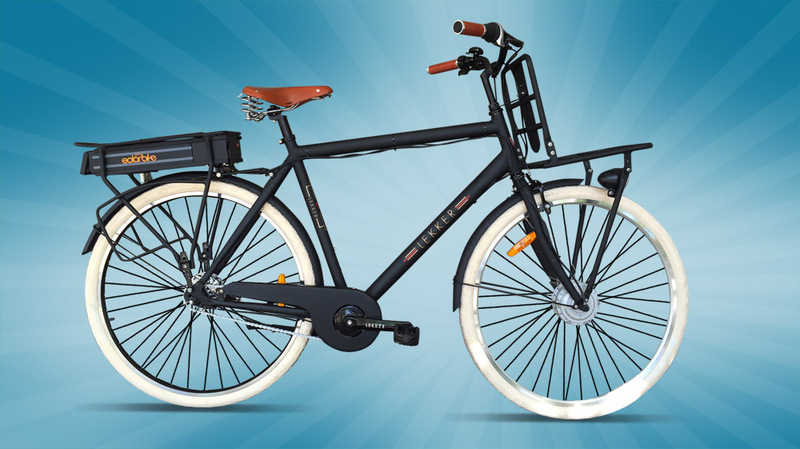 It’s a comfortable bike that has that classic Dutch style. Please come into our shop to test ride one.